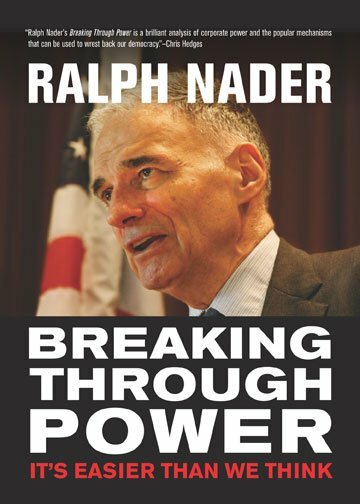 In Breaking Through Power, Nader draws from a lifetime waging—and often winning—David vs. Goliath battles against big corporations and the United States government. In this succinct, Tom Paine-style wake-up call, the iconic consumer advocate highlights the success stories of fellow Americans who organize change and work together to derail the many ways in which wealth manipulates politics, labor, media, the environment and the quality of national life today. Nader makes an inspired case about how the nation can—and must—be democratically managed by communities guided by the U.S. Constitution, not by the dictates of big businesses and the wealthy few. This is classic Ralph Nader, a crystallization of the core political beliefs and commitments that have driven his lifetime of advocacy for greater democracy.